Before the skipper decides to fish on the schools he observes on his sonar and echosounder he has to decide if the school of fish is worth going for. Until now unwanted catches are slipped and the skipper will try to catch a clean school. With the discard ban, this is no longer allowed. Technologies that help the skipper to make a more informed judgment on which species he can expect in the school would allow him to choose clean schools, thus avoiding the problem of bycatch. SEAT, fronted by Sustainovate, uses a multifrequency echosounder technology to create acoustic fingerprints of fish species. Although this is a simple principle, the practical application is much more complicated. Environmental circumstances will affect the acoustic reflections, but things become much more complicated when the school of fish consists of more than one species. 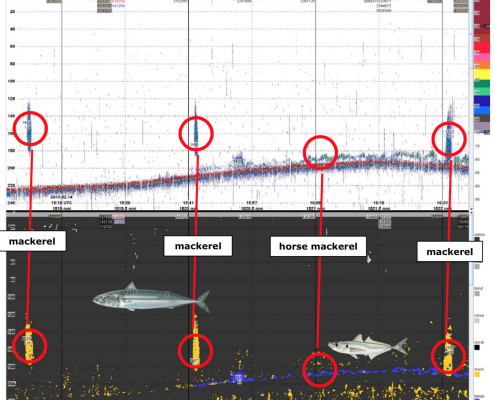 SOFIC uses a wideband sonar to create acoustic fingerprints of fish species that are based on other parameters than differences in frequency response. EK80 uses the SEAT principle but with added broadband features in the higher range. The development of the Ek80 approach is at an very premature stage. The main purpose of this project is to further develop SEAT into a practical tool for skippers in Dutch pelagic fisheries. SEAT I has proven the concept, but practice showed that there are a few unforeseen factors that make SEAT not always successful in practise. 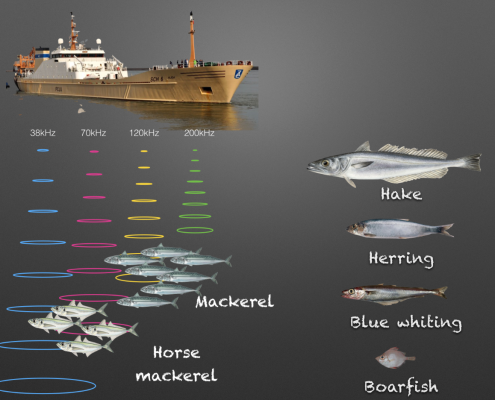 The aim of this project is to develop a species identification algorithm based on multifrequency echosounder data that helps skippers to make more objective decisions on the separation of mackerel from horse mackerel in areas of co-occurrence. 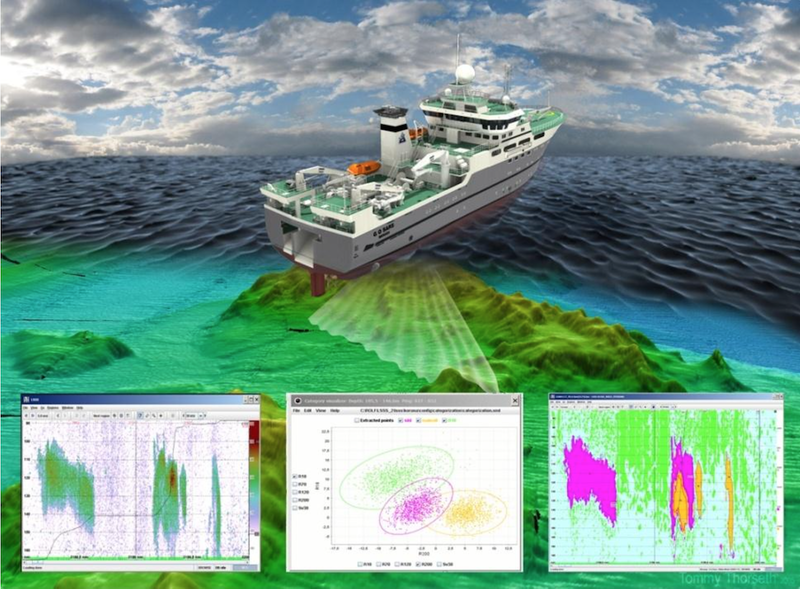 The product uses the latest technology in scientific species classification and multiple frequency acoustics.